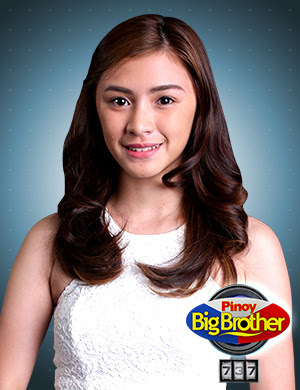 MANILA, Philippines - Kamille Filoteo, the “Teen Mama ng Manila," is the latest evicted housemate from the Pinoy Big Brother House Wednesday evening, August 5. BYE KAMILLE. Evicted from Big Brother house. The “Totoy Smiley ng Albay" Franco Rodriguez and “Daldal Darling ng Australia” Ylona Garcia were saved by public votes. Filoteo, 18, got the lowest percentage of votes, 27.78%. Rodriguez and Garcia received 33.15 and 39.07 percent of votes respectively. After the eviction, PBB announced that voting is now officially open for the Teen Big 4. Supporters have two options, the Vote to Evict (BBE) and Vote to Save (BBS). On Wednesday, 'PBB 737' topped Twitter trending list with '#PBB7375thEvictionNight' among the most talked-about topics.